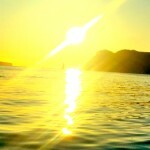 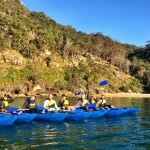 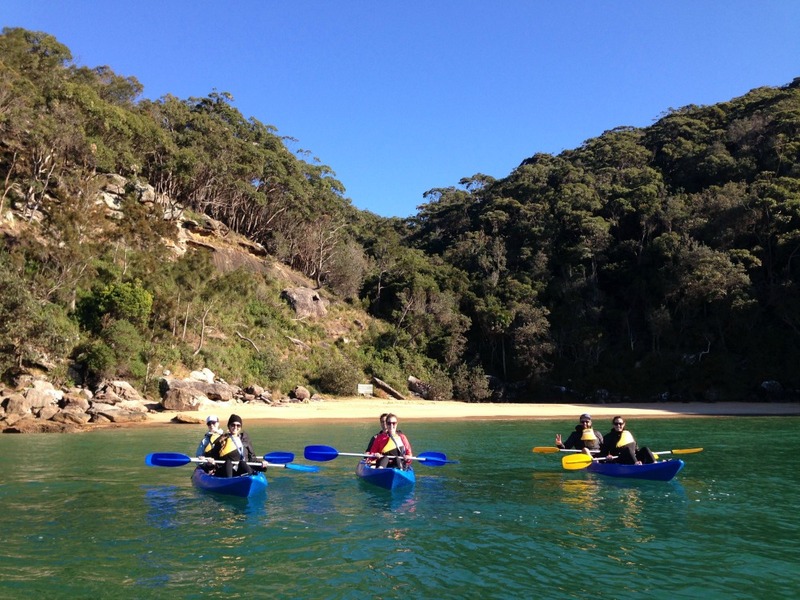 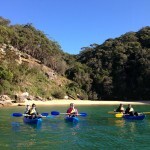 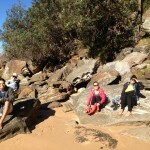 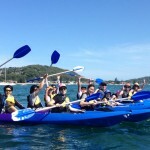 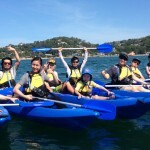 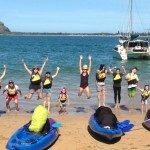 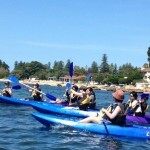 Cracking day for a paddle with work mates. 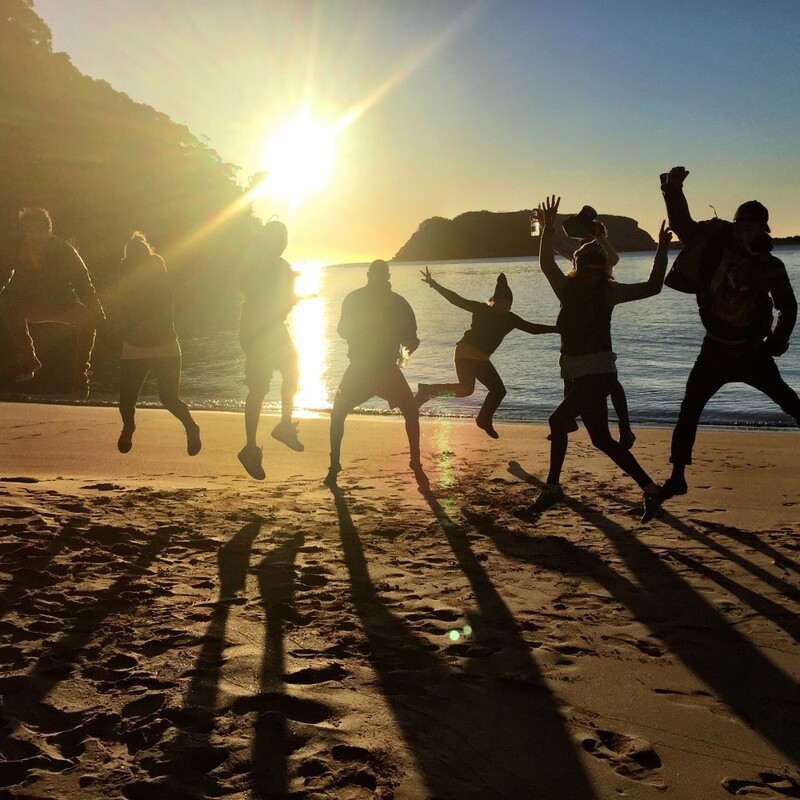 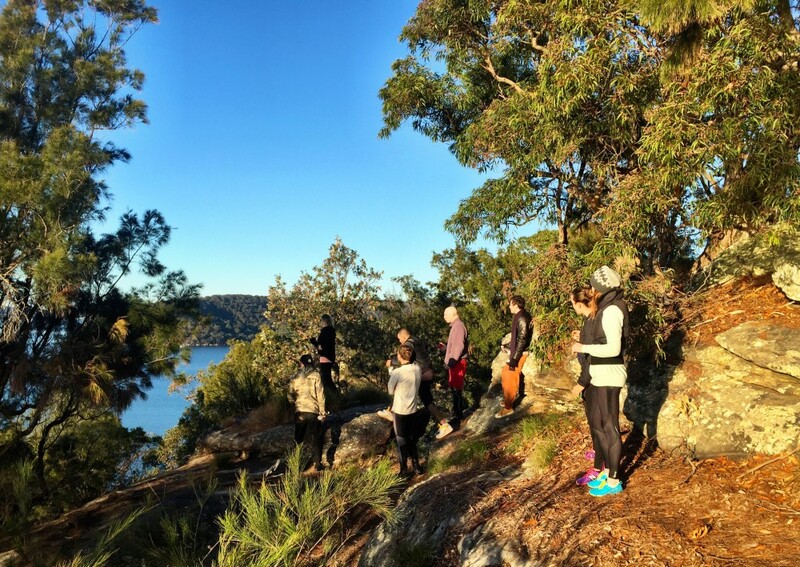 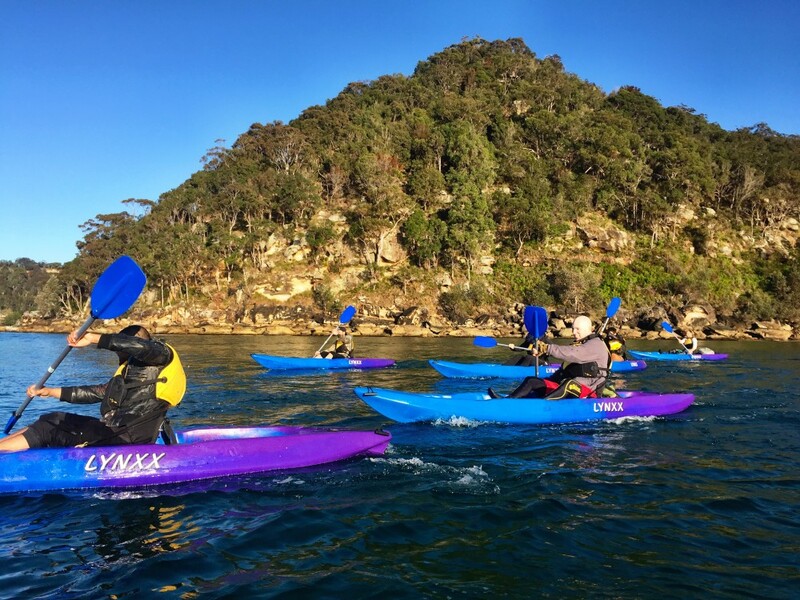 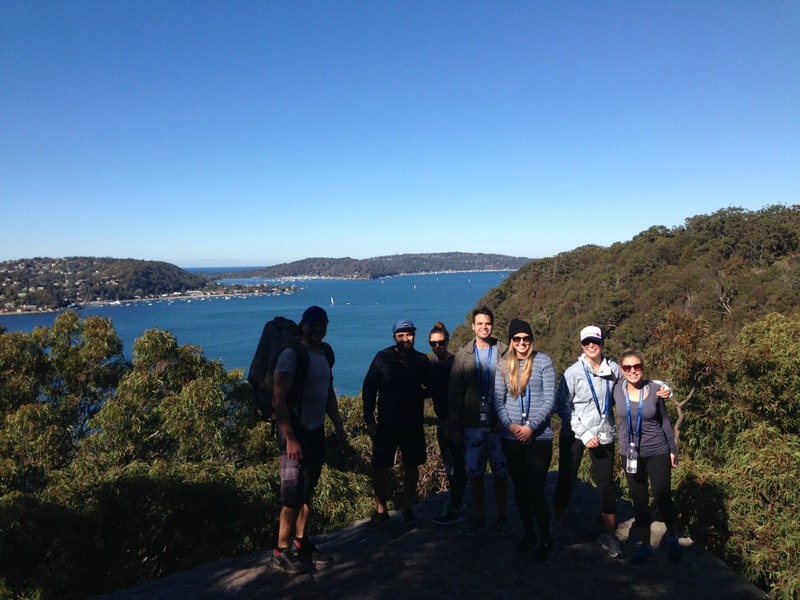 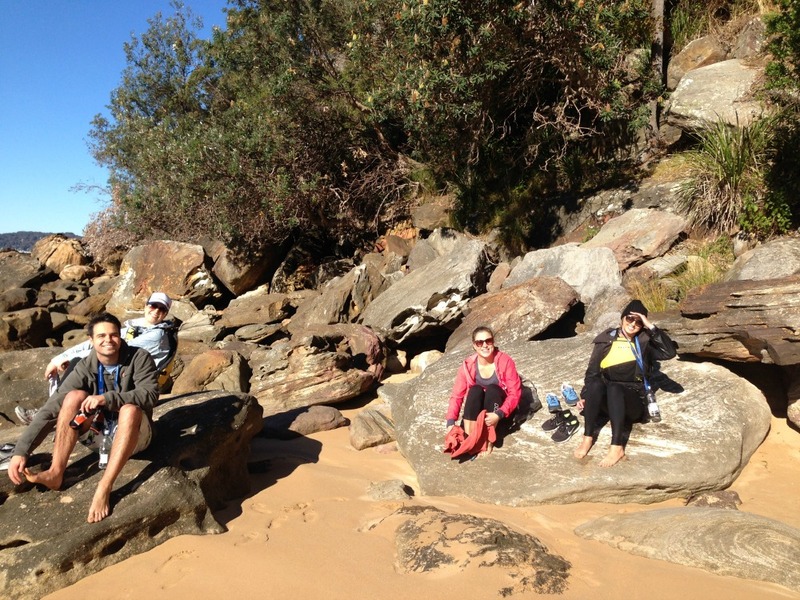 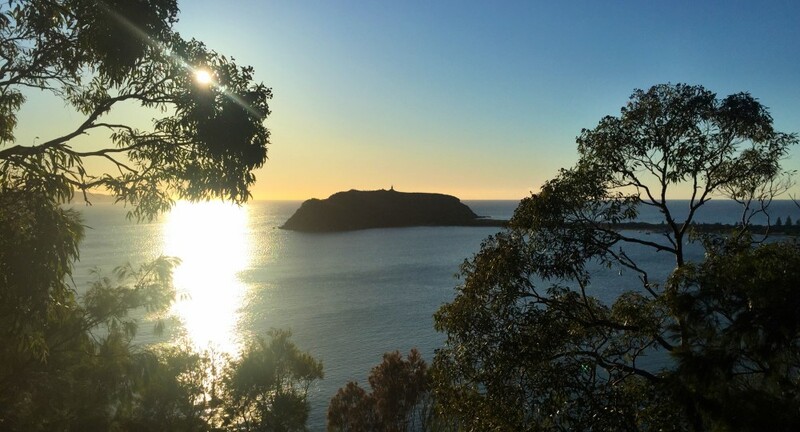 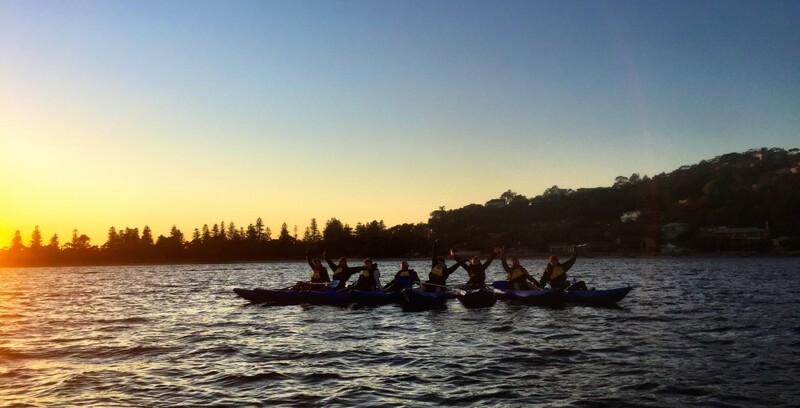 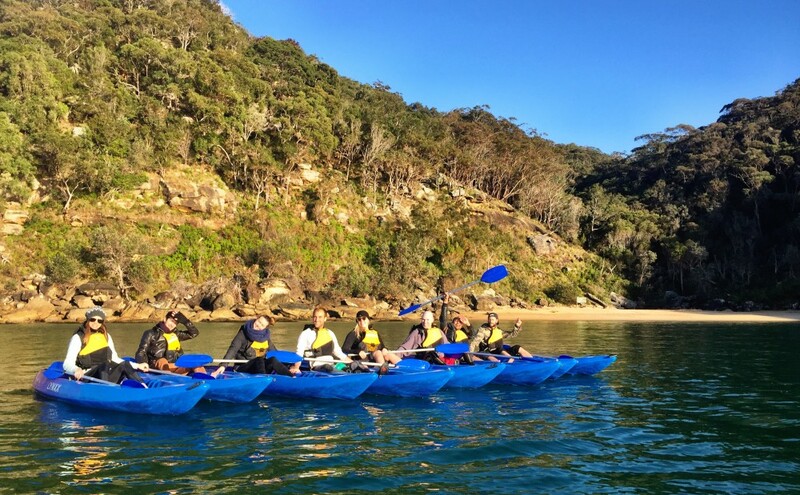 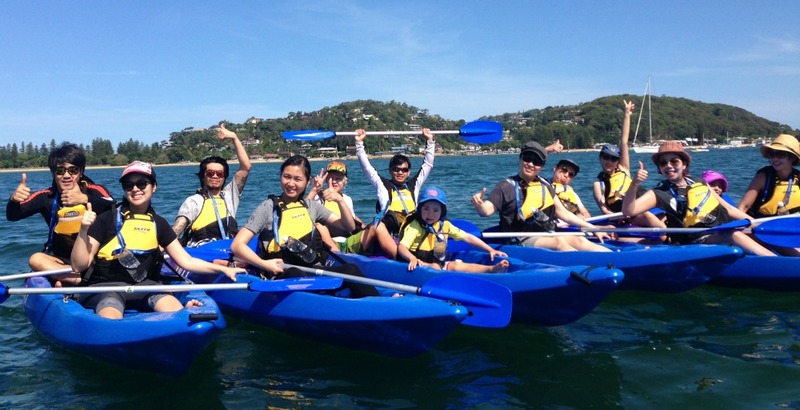 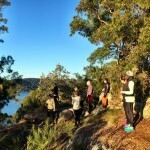 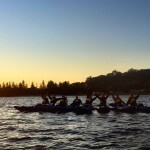 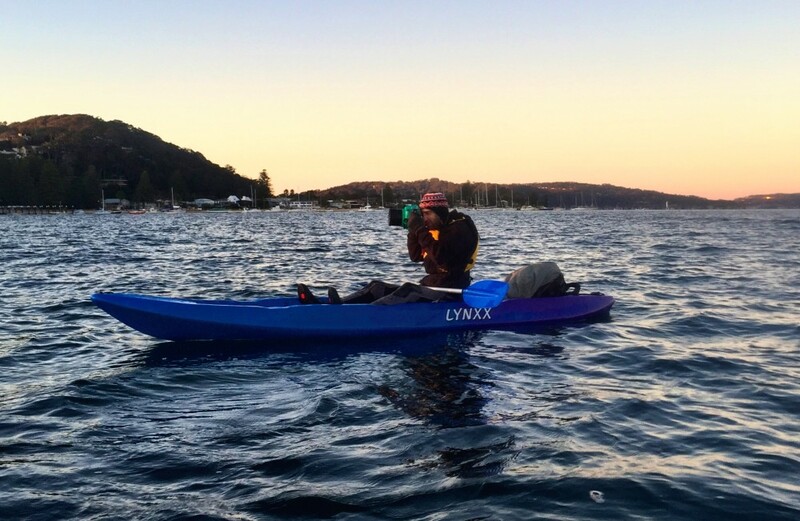 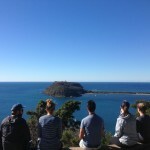 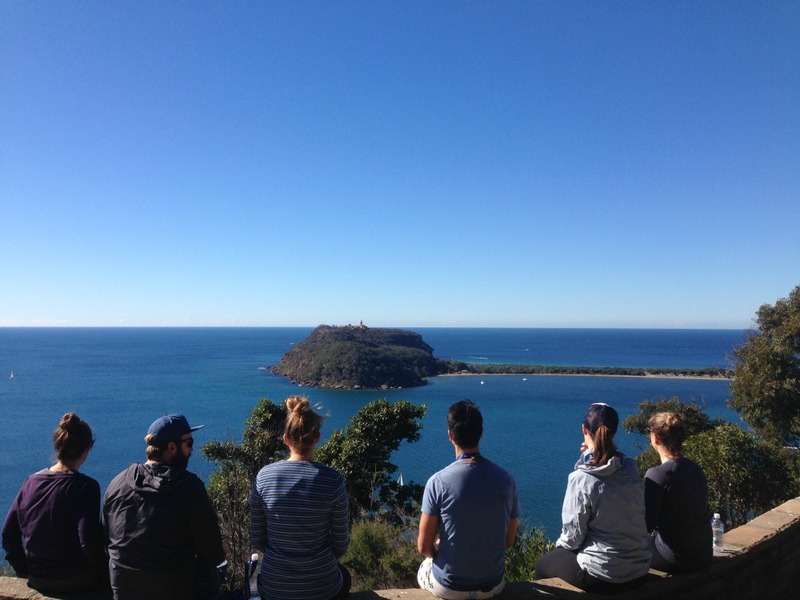 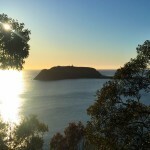 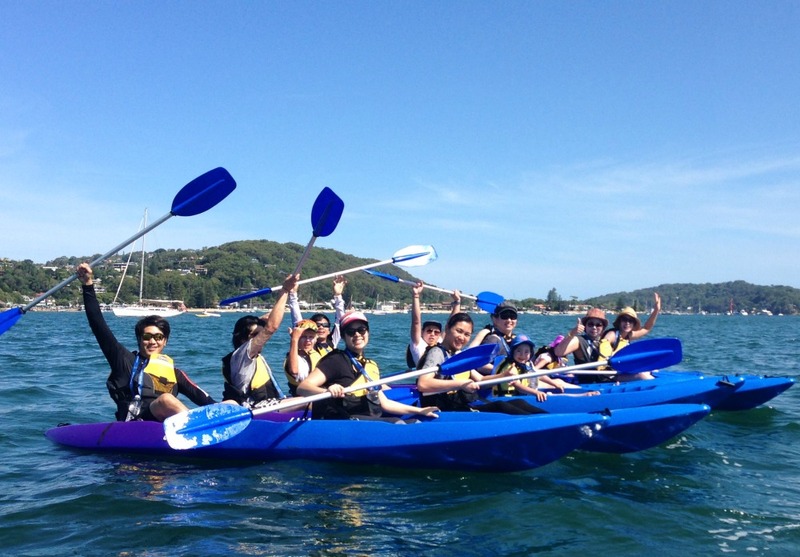 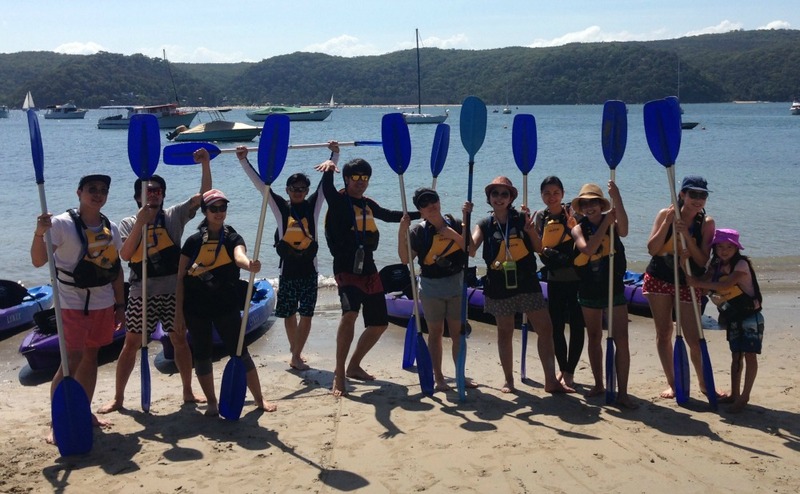 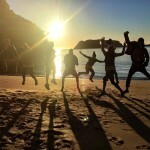 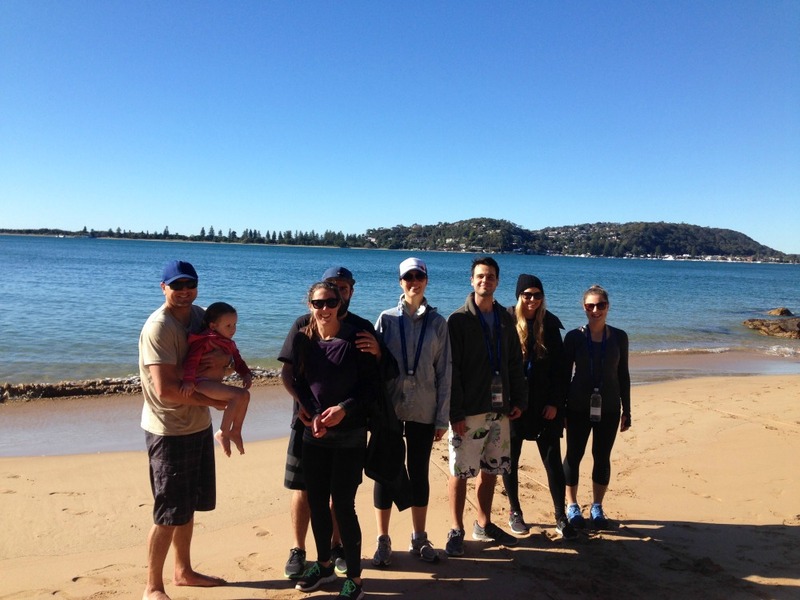 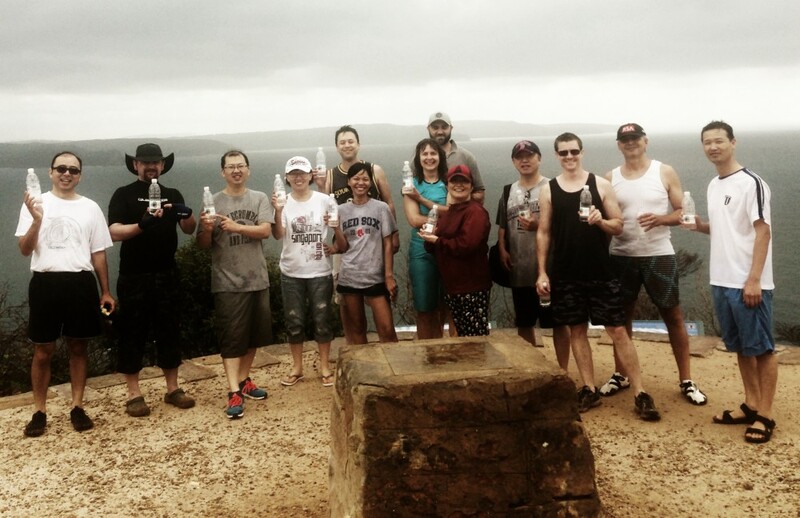 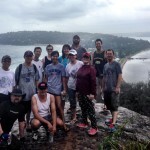 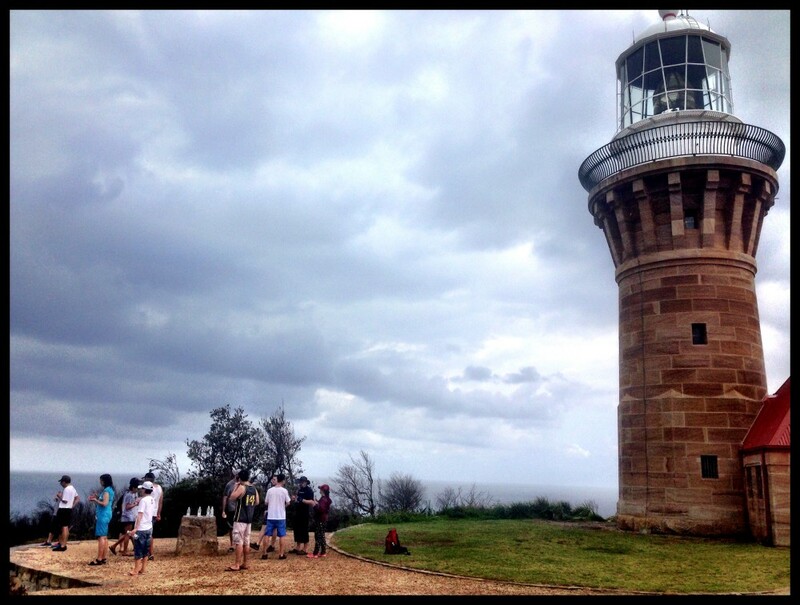 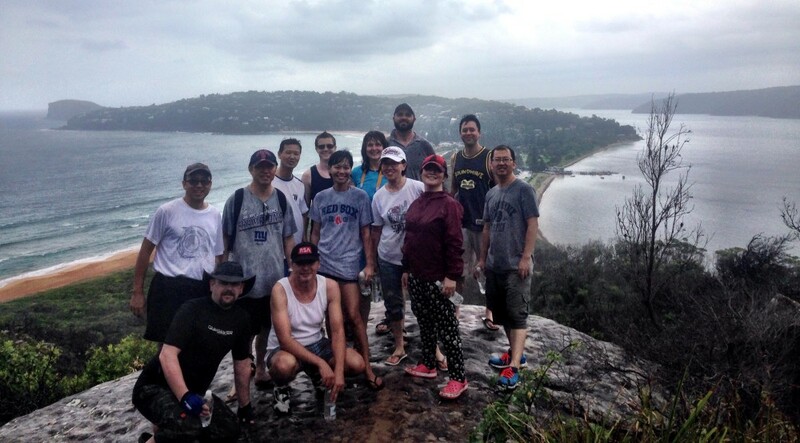 A bunch of workmates and myself enjoyed a cracking Winter’s day last week out on the beautiful stretch of water that is Pittwater. 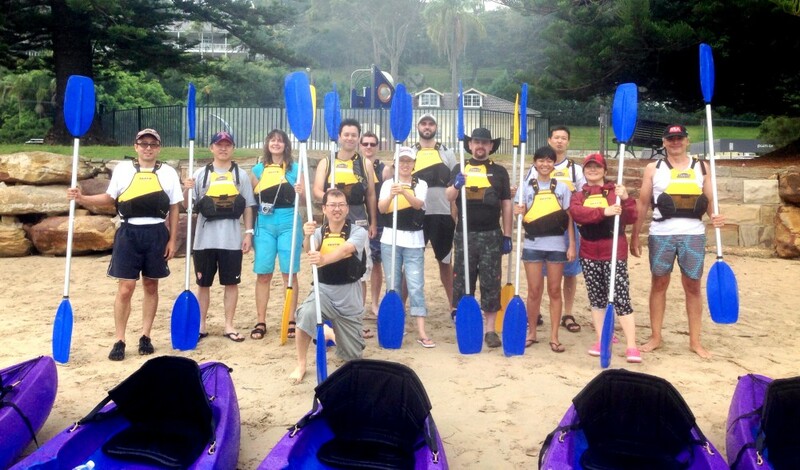 The morning started out a bit windy and we got a bit wet and cold on the way over but soon warmed up once we started paddling. 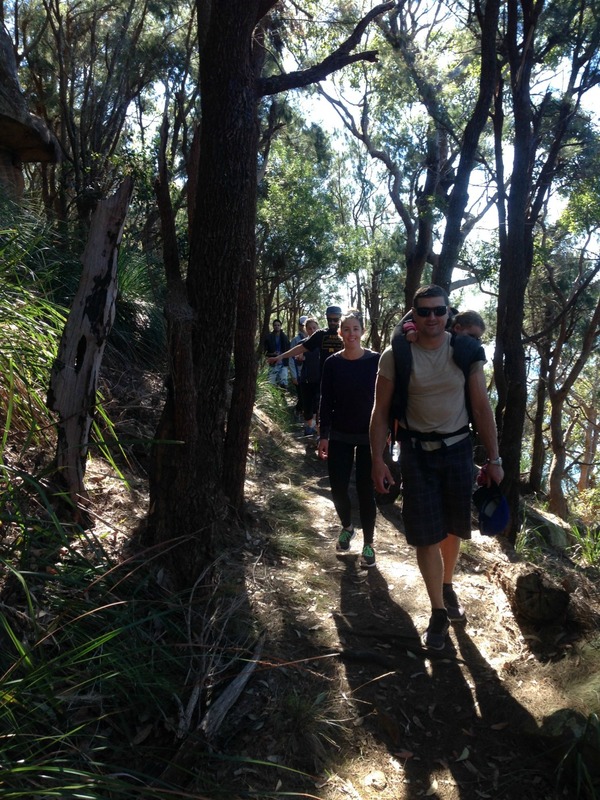 We disembarked on the beautiful Resolute Bay and then started out 2.5km round trip to West Head. 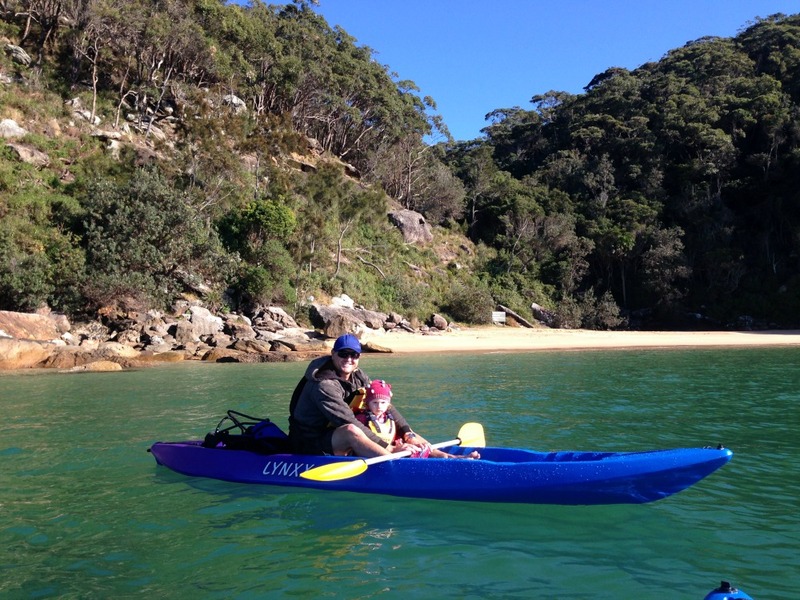 One of my mates brought his gorgeous little two and half year old daughter along who thoroughly enjoyed both the paddle and being on Dad’s back in her harness during the bush walk. 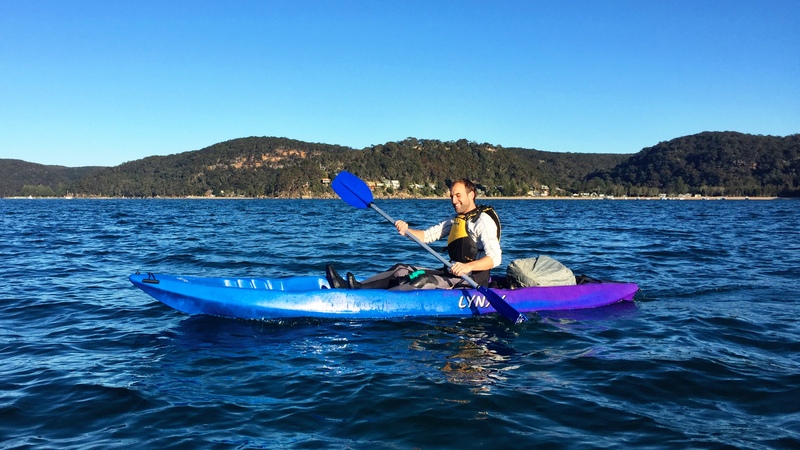 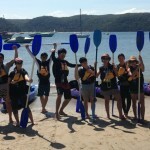 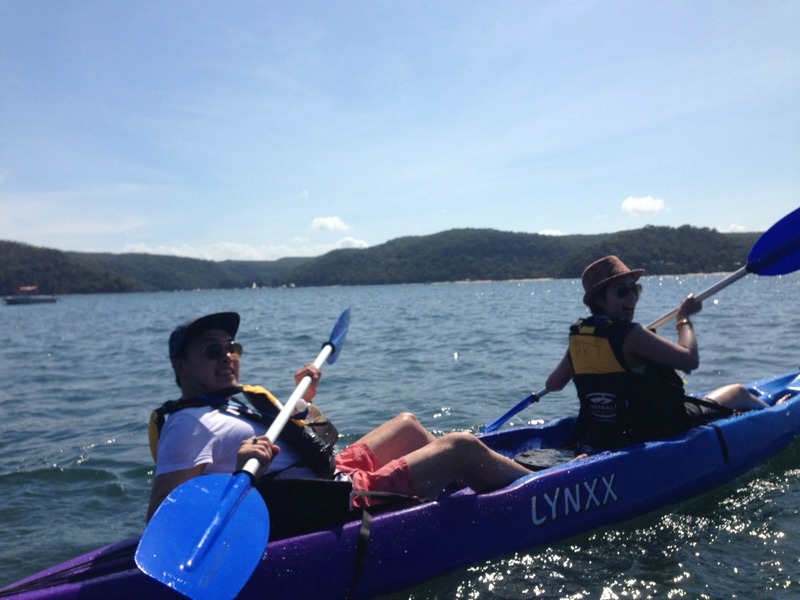 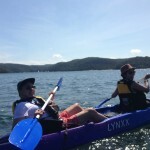 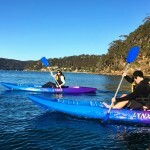 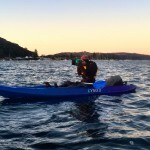 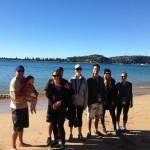 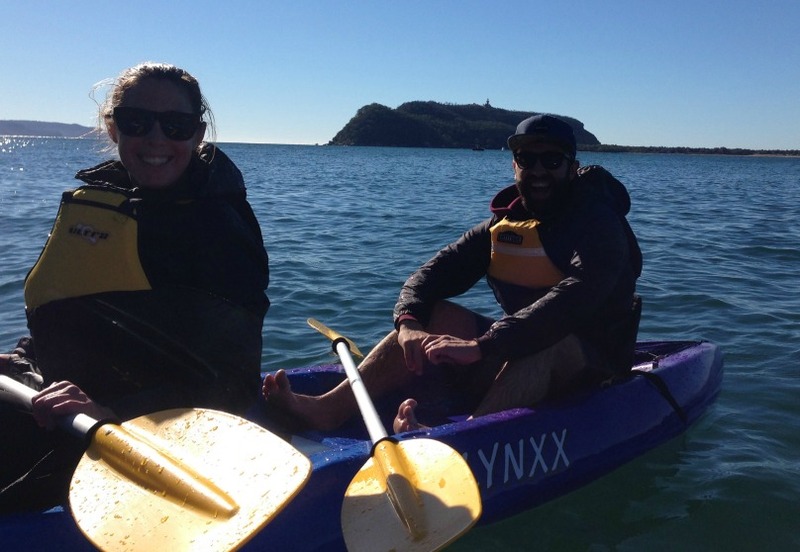 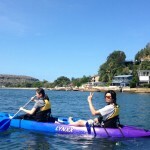 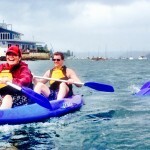 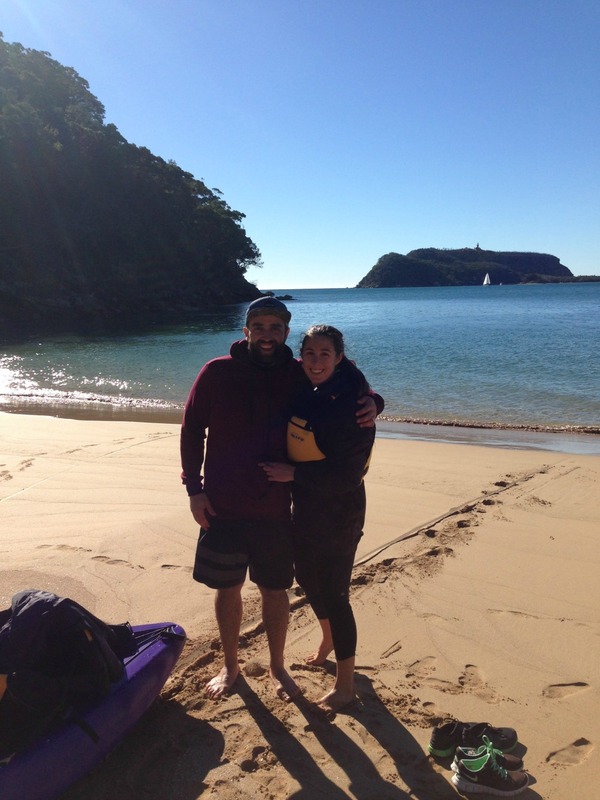 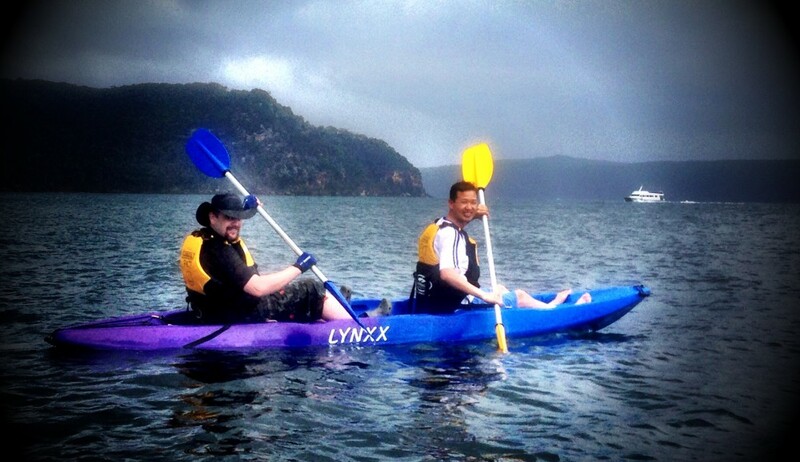 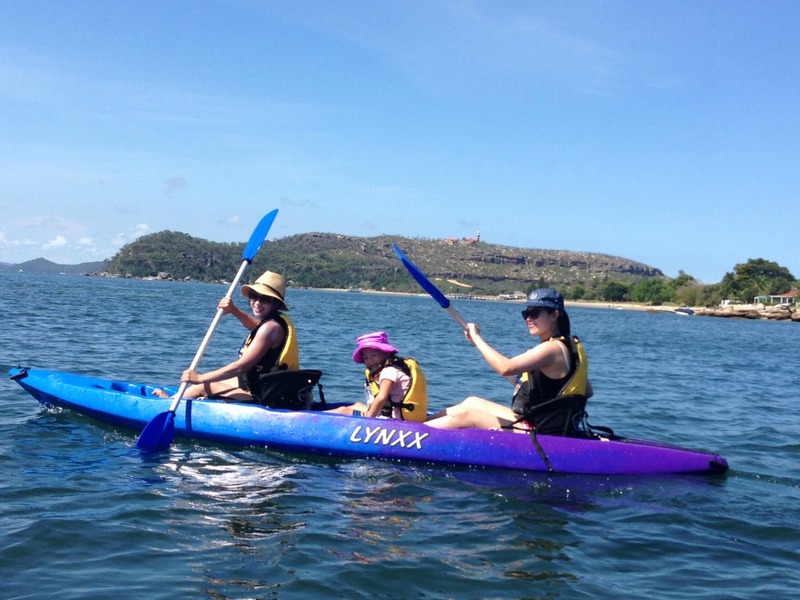 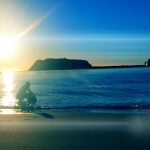 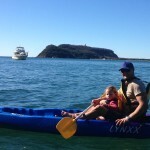 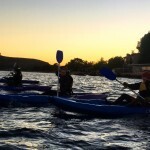 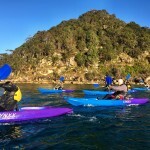 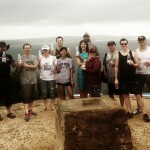 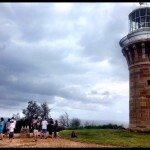 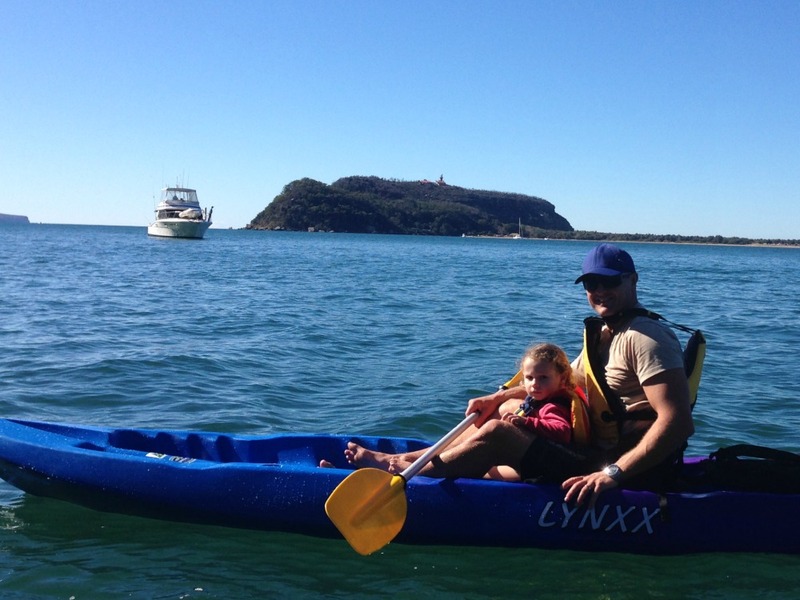 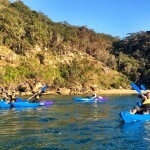 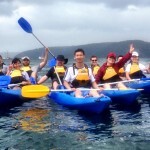 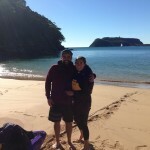 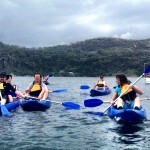 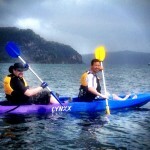 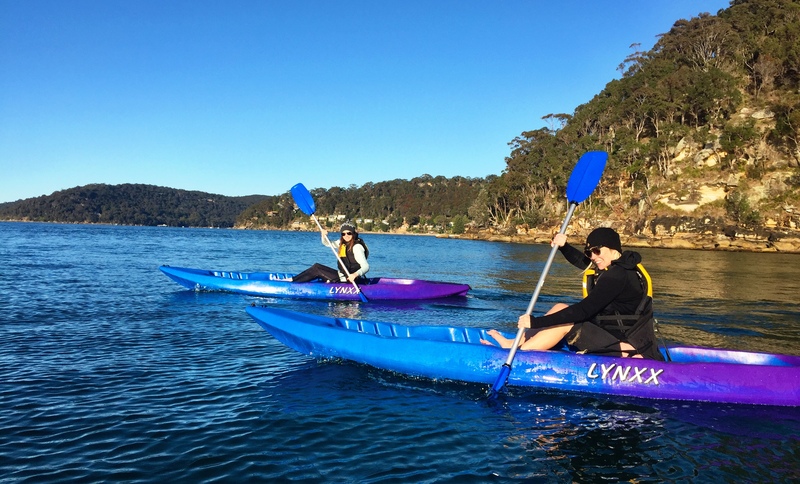 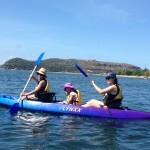 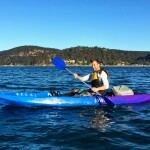 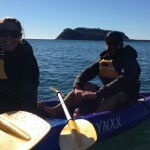 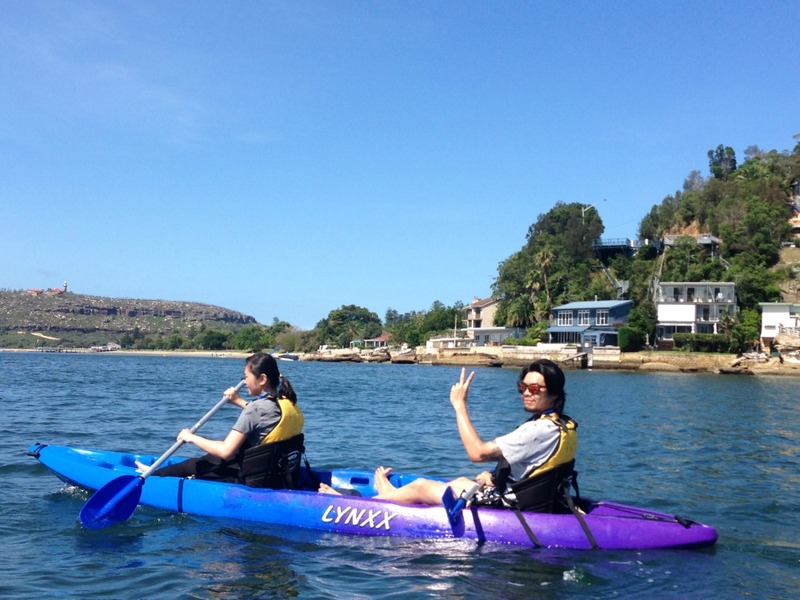 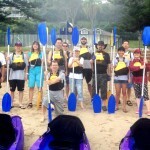 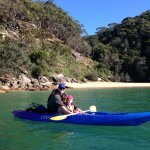 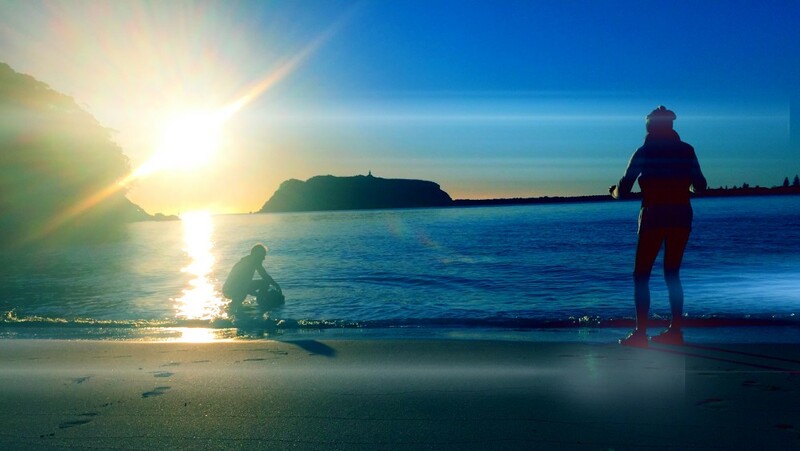 Craig and Lara enjoying the paddle with Barrenjoey in the background. 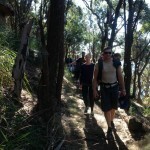 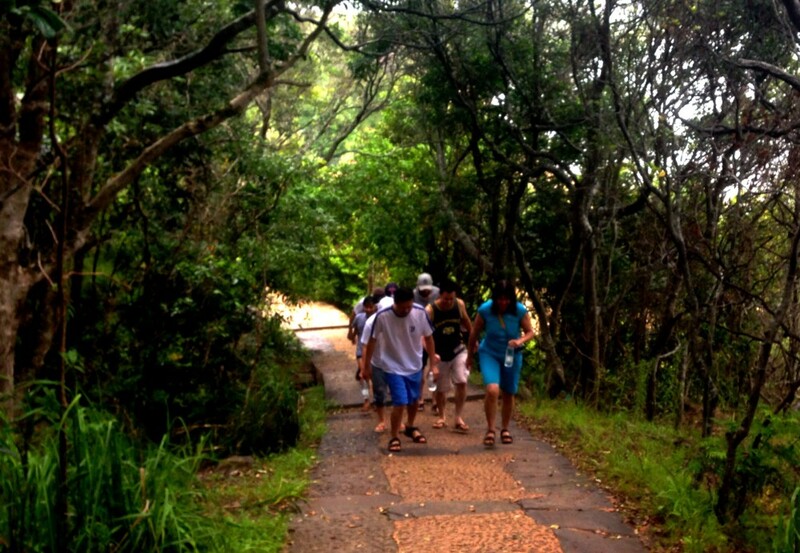 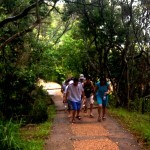 Shoes on, getting ready for the bush walk. 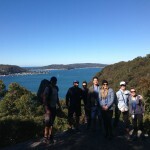 One of the many views on the way up. 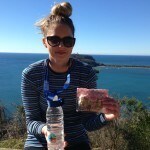 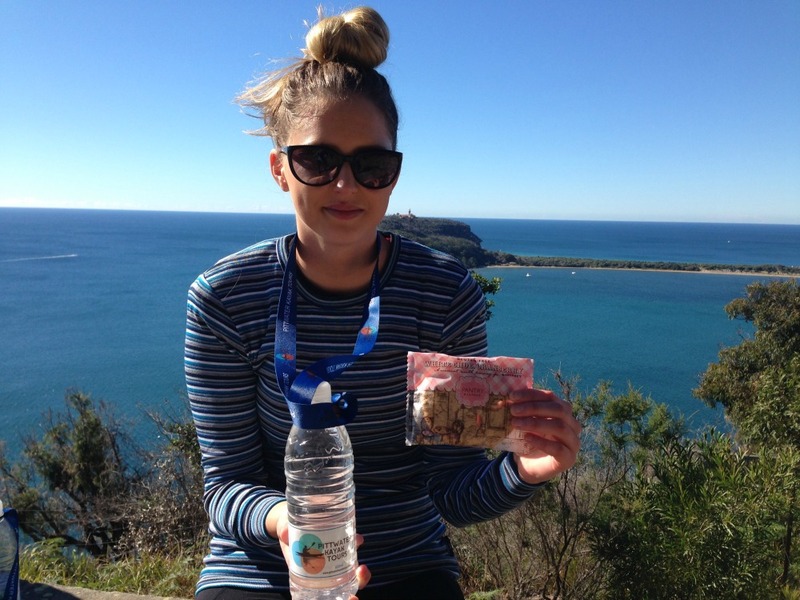 A light snack, tasty muesli cookie, fresh fruit and a bottle of water.